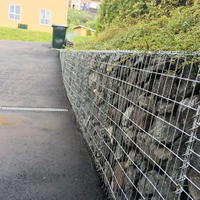 Gabion Mesh Pad - Buy Gabion Mesh Pad Product on Hebei Gabion Hardware Wire Mesh Co., Ltd.
Gabion box (also known as the six corners, the distorted mesh, mesh, three mesh weaving angle) of the metal wire (six mesh) in the cage, the use of metal diameter is according to the size of the tiles. 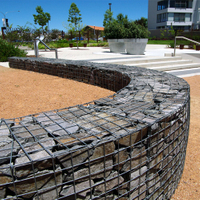 If Gabion box are metal wire metal coating, metal wire with diameter of 2.0mm to 4.0mm, if it is six PVC coated fabrics, with the outer diameter of 3.0mm 4.5mm PVC (metal) line. The edge of the box is used to line six point line line 1. 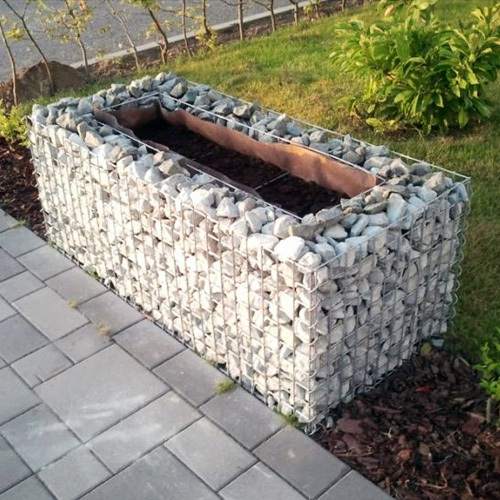 (1) the economic benefits, only a stone into the cage can be sealed, do not need special technology. (2) can be folded and convenient transportation, transportation, site assembly. 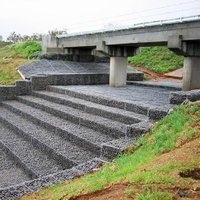 (3) has the very strong resist natural damage and corrosion resistance and resistance to bad weather ability. (4) can withstand large range of deformation, but still the collapse. (5) between the whiteness of silt stone cage plant production, and natural environment as a whole around melt. (6) has good permeability, can prevent the damage caused by the fluid static. 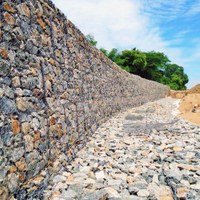 Gabion box use: This product is used in highway, railway, slope, slope greening, slope protection, net spray, tunnel, construction, agricultural net, the zoo fence, fence, grassland slopes, the cage, the cage flood berm, control and guide it to release the river flood diversion canals, dams and bridges, rockfall protection, protection, soil structure, retaining wall, preventing soil erosion, coastal defense engineering, port engineering.